Hauskaa lauantaita, tervetuloa viikon Allsorts haasteen pariin! Aiheena käyttää työssäsi kultaista väriä! 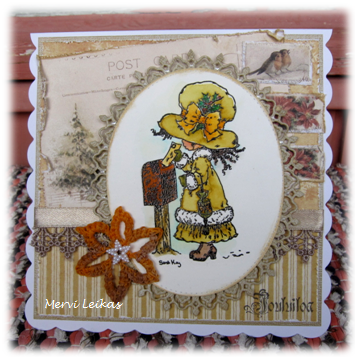 A lovely card with the SK image Mervi. 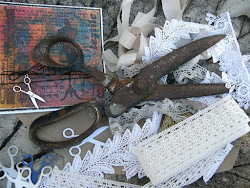 Great image and super papers , really lovely card. This is cute, I love how the papers match the image and make up a scene for her, it's a well designed card. Love the image and your colouring of it! Thank you for sharing with Dragons Lair Challenges! DT for Dragons Lair Challenges!